Sometimes the best travel plans are right in your own backyard. If you’re looking for new and exciting activities to do and places to visit this year, you won’t have to travel far. 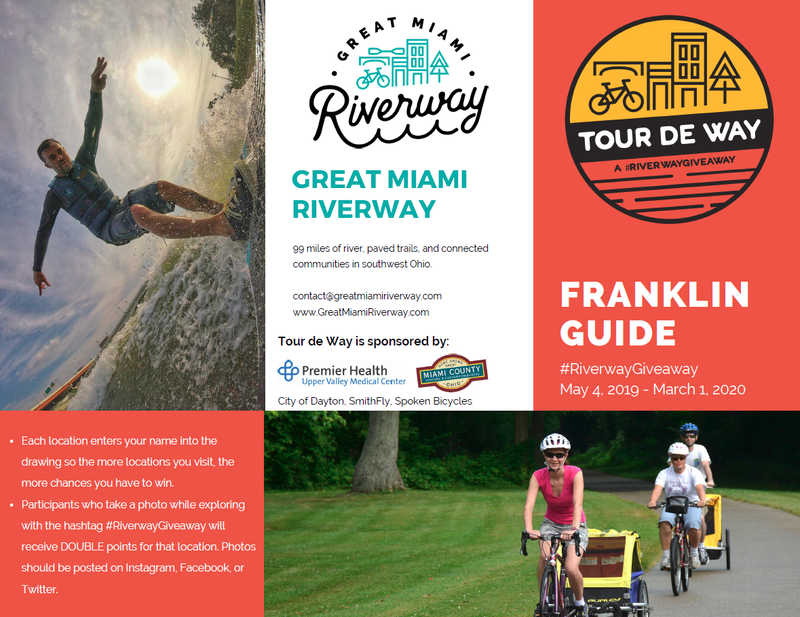 The Great Miami Riverway’s Tour de Way passport program launches on May 4. You can explore the region all year long with more than 100 locations, perfect for the adventurer, the art lover, the aviation enthusiast, the beer connoisseur, and everyone else in between. Each time you visit one of the locations, you’ll collect points that can make you eligible for exciting prizes like a SmithFly Shoal Tent (world’s first floating tent). The program runs through March 1, 2020, so there’s plenty of time to explore and collect points. To get started, you simply visit one of the many locations that will be listed on greatmiamiriverway.com starting May 4. Follow the instructions to find the QR code with your smartphone. 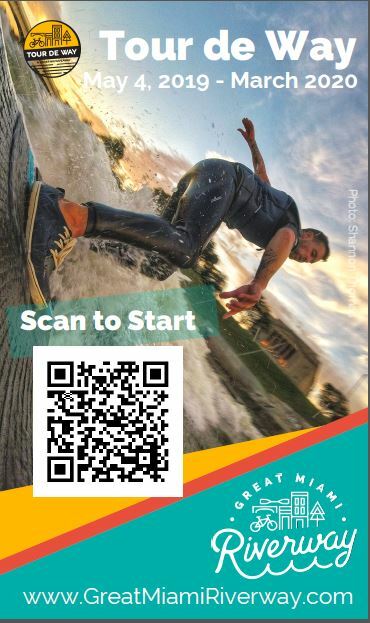 The first time you scan a QR code, you’ll be prompted to create a Great Miami Riverway account. Every time you visit a new location, you collect points in your account, making you eligible for prizes such as a bicycle, downtown gift cards and more. The more locations you visit, the more chances you have to win. Each location enters your name into the drawing, so if you visit 50 locations, you have 50 chances to win. This is not a race. We encourage you to spend time in each location and enjoy the community. You have 10 months to complete this, so enjoy it! Keep checking the Riverway’s social media accounts for pop-up and temporary QR code locations. If you want to win the big prizes, you’ll need those extra points! If you take a photo while exploring and use the hashtag #RiverwayGiveaway, you’ll receive double points for that location. Photos can be posted on Instagram, Facebook and Twitter. The winners will be announced at the 2020 Riverway Summit. You don’t need to be present to win, but you will need to pick up your prizes. They are too large to ship! A Tour de Way guide to each city—Sidney to Hamilton—will be available on the Great Miami Riverway website. The Great Miami Riverway is 99 miles of river, paved trails, and connected communities from Sidney to Hamilton. MCD is a partner in the Great Miami Riverway.